I almost hate to post these because they’re obnoxiously expensive for a magnet set – $18.94! 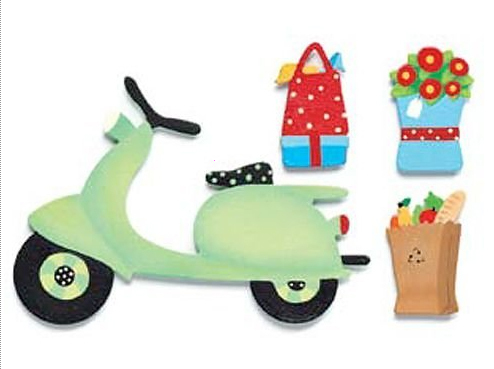 But if you have to have a green scooter magnet or you’re really into scrapbooking, this might be just what you’re looking for to complete your craft project. This entry was posted in Crafts, Decor, Stationery and tagged Crafts, green, magnets, scooter, scrapbook embellishments, scrapbooking, shopping, vespa, vintage by Tracy. Bookmark the permalink.